We are counted among one of the leading Trader, Supplier & Exporter of a wide array of Laminates & Floorings. In order to meet the diversified needs of our esteemed clients, we procure them from the reliable and well-established vendors of the market. Owing to their moister resistance, reliability and longer service life, they are highly coveted in the market and appreciated by the clients. Our product range includes Water Resistant Plywoods, Marine Grade Plywoods, Decorative Panel Plywoods, Bendable Plywoods and Shuttering Plywoods which are detailed as follows. Being a quality oriented organization, we are offering a wide range of Marine Grade Plywoods. In order to ensure the quality of this product in accordance with the international standards, we procured it from the well-established vendors after comprehensively analyzing its quality on numerous parameters. It is very demanded in the market and appreciated by the clients owing to its longer service life, customized size and shapes. Catering to the varying needs of our esteemed clients, we are offering a wide array of Bendable Plywoods. In order to ensure its quality as per the international quality standards, we procured it from the reliable vendors of the market. It is highly reliable for a longer service life and offer high resistance to moisture, dust and water. Furthermore, we are availing it within affordable price with assurance of timely delivery of client's bulk orders. We are offering a wide range of Shuttering Plywoods to our clients as per their requirement. Our clients can avail our products at market leading prices. Contact us for more information of our products. Catering to the varying needs of our esteemed clients, we are offering them a qualitative range of Water Resistant Plywoods which is mustered from the well-established vendors of the market. It is highly coveted in the market and appreciated by the clients owing to its high resistance to boiling water and moisture. 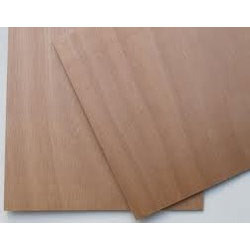 Therefore, this plywood is highly used in making in making grain silo, speaker cabinets, light construction work kitchen cabinets, false ceilings and exhaust pipes. With main focus on quality, we are offering our clients Decorative Panel¿¿¿¿which is fully quality assured in accordance with the international quality standards. This product is very coveted in the market owing to its longer service life, powder proof and high termite resistant. It is manufactured at the vendor's in accordance with exact specifications of our esteemed clients.